When I started my Etsy shop, way back in December 2013, I had no idea what I was doing. I’d been selling on eBay for over 10 years and was used to their format, the slightly warped logic of their best match search and their ever changing buyer standards rules. Etsy was a whole different ball game. It’s now been a couple years and nearly 2500 items sold so I’m reasonably confident I now know (mostly) what I’m doing. My store is also ranked #2 in its category in Australia and is listed in the top 100 for the category, worldwide (check out Craftcount for more details). So, what I’m sharing has been gained by experience. If you’re a crafter or designer or like me, sell a product that’s not hand-made, read on to learn – the easy way – what I learned through experience. 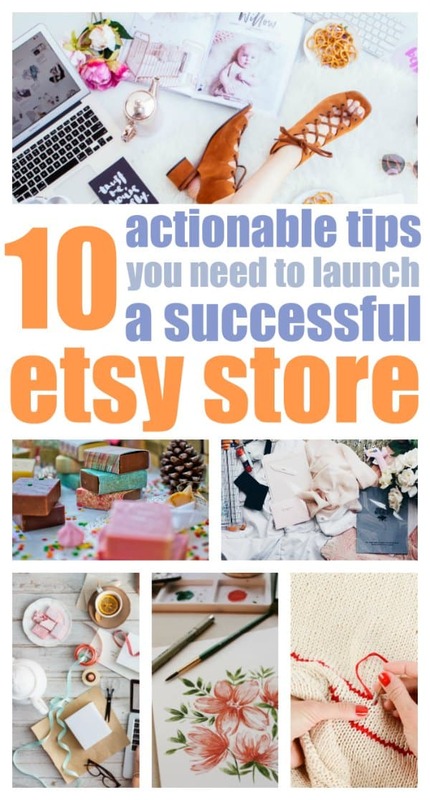 How to start your Etsy shop and set yourself, and your business up for success. Obviously, if you’re reading this, you have an idea of what you’d like to sell in your Etsy shop. Even if you don’t know the specific item, you’ll know the category. For example, you might know you want to sell party supplies or maybe digital prints but not necessary the specific products. Once you know the category, jump onto Craftcount. What do their shops look like? How do they lay out their product descriptions? What product ‘tags’ do they use? Can you pick the keywords they’re targeting? Do their shop names reflect the items they sell, or maybe the category? What’s their location? Is that a key factor in their success? The answers to these questions will help you refine your vision for your Etsy store. Just remember, imitation might be the sincerest form of flattery but it can also be seen as theft of intellectual property, so make sure your Etsy store is a reflection of your own style. Every marketplace has its rules. Etsy is no different. Before you create your store and start loading products, be sure to familiarise yourself with Etsy’s Seller Policy and then adhere to it. You want to be sure, right from the beginning, that you’re doing everything right, including selling appropriate goods. One thing you would have noticed when you were checking out the top Etsy sellers is that they each have a signature look; a brand. It doesn’t matter if you’re starting your Etsy shop as a side hustle or as a fully fledged work from home business, you need to put some thought and effort into creating your brand. If you’re serious about building a business, you could hire a professional to create a brand for you or, in true DIY fashion, create your own. You don’t even need expensive graphics software to create your artwork, there are a few really good free image editing sites available like Canva and PicMonkey. PicMonkey is my favourite and you can either use it for free or subscribe for a small monthly fee to gain access to more features, including a wider range of fonts. Create some mock-ups and enlist your family and friends to vote for the look they like best – and promptly ignore their choice if you disagree! 🙂 . I need to preface this step by admitting that I’m not a photographer and that I only used a ‘point and shoot’ camera for my product shots, most of which were taken a long time ago. The approach to your product images will vary depending on the type of product you’re selling. For instance, some items sell best when they include some context, like a digital image shown in a frame. While others look better in isolation. I chose the latter for my products and used good old Microsoft Paint to ‘whiteout’ the background of my images. Expect to take the shot multiple times. Once you’re happy with your product photo, add your Etsy shop logo. 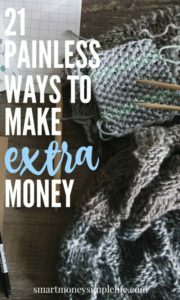 Want to make extra cash but not ready for your own Etsy shop? Here are 21 painless ways to make some extra money. There are other costs that could play a role in your pricing strategy like business overheads, tax, transport costs (if you sell a physical product you’ll need to take your orders to the post office), permits, insurance, etc. The next step in the pricing process is to see what similar items sell for on Etsy and on the market in general. This will give you an idea of how much customers are willing to pay for an item the same or similar to the one you’re going to sell. You might also consider the strategy of having a high-end version and an everyday version of your product. It can be a valuable marketing technique. There’s a theory that states, the more you have to sell, the more you’ll sell. (I have no idea where that piece of wisdom originated but if you do, let us know in the comments). In my experience, the above sentiment is true but it probably depends a great deal on what you’re selling. Will your customers buy one product or is it likely that they’ll buy multiple products from you at the same time? If it’s the latter, try to have your full product range available the day you open your Etsy shop’s virtual doors. The key word here is research. Don’t guess the most appropriate keywords for your product, research them to see which ones your potential customers are actually using to find products like yours. Etsy search can help with this task. For example, if you type ‘party’ into the search field, Etsy shows you a list of popular search phrases. Use these as your starting point. You can also use google or my favourite keyword research tool, SEO Book. Once you’re clear on your keywords, you can begin the next step. Read this post to find out why starting a side hustle, like an Etsy shop, is the smart money move of the year. Your product title is the most important aspect of your Etsy shop’s SEO (Search Engine Optimisation) but it also needs to make sense to your customer. Make sure your product title clearly describes what you’re selling and make sure you include your keywords or keyword phrase. If you have multiple categories within your shop, include links to them in your descriptions. You’ve got the customer’s attention, now’s the time to make sure they stay browsing in your shop and not head off to see what else there is on Etsy. Consider also linking to your shipping policies or including them in the description. Customers will generally assume you’re in the same country they are. Make sure they know what to expect from you in the way of shipping times, etc. The last thing you want is a disappointed customer. An investment in your business you’ll never regret is a shipping scale like this one . Every gram (or ounce) counts at the post office. Incorrect estimation of the weight of a parcel can cost you a lot of money, especially if you’re selling overseas. Protect your profit margin and make sure you charge the correct shipping fee for the weight of the parcel. Also, consider including insurance in your shipping price. Etsy has a straightforward system for calculating postage but it’s a bit of a blunt instrument. Finessing your shipping profiles might take a little time so it’s important to make sure your costs are covered while you figure it out. You can always refund excess postage paid by your customer. If you are selling your products internationally, be sure to state clearly in your store policy that buyers are liable for any and all customs or import duties in their country. Finally, make sure your packaging looks professional and is appropriate for the product you’re shipping. If it’s breakable, don’t be stingy with the bubble wrap! Unfortunately, your Etsy shop is not the Field of Dreams so building it isn’t enough, you need to tell the world about it, too. Get your social media accounts set up; Pinterest, Instagram, Twitter and Facebook. Some might be more appropriate to your product offering than others. For example, if you’re creating handmade products you could use Intagram to tell the story of how your products are made by sharing images at different stages of production. Pinterest is my favourite social media so I highly recommend you create a presence as soon as you can. (I’ll be writing more about creating a presence and following on Pinterest soon). As with every other step of the process, create a strategy for your social media and then implement it. Repeat custom is worth promoting too so consider including a thank you card with a coupon code for a discount off their next purchase. Word of mouth promotion is priceless and repeat buyers are your best word of mouth promoters. An Etsy shop is a great way to get started in online retailing but at some point, if you’re serious about creating a business for the long term, you’ll want to stretch your wings and build your own website. There are lots of ways to do this using hosted solutions like BigCommerce or Shopify but the best way is to have a self-hosted site using WordPress.org and the WooCommerce plugin. It’s not necessarily the easiest option but for the control freaks among us, it’s the option that gives you complete ownership and control. 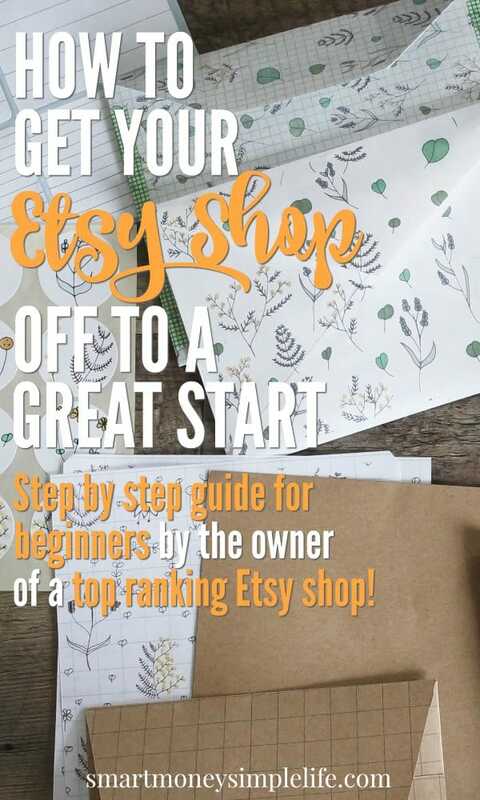 Think about your “what’s next” as you establish your business on Etsy because an Etsy shop is really just the beginning of your small business journey. 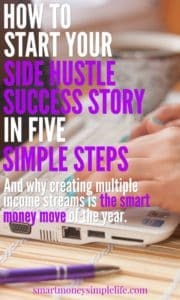 Looking for other side hustle or work from home ideas? Try these posts! Do you sell on Etsy? What tips do you have to share? Want to sell on Etsy but not sure where to start? Leave me a question in the comments and I’ll do my best to give you a clear and concise answer. This is super helpful! I would love to sell on Etsy, love that site. Glad you enjoyed it, Francesca! What a great article, l really enjoyed reading it. I would like to start making things and sell online.